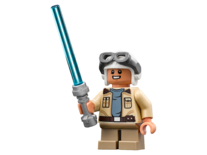 75185 Tracker I is a Star Wars set released in 2017, based on LEGO Star Wars: The Freemaker Adventures. Search out the Freemakers with Tracker I! 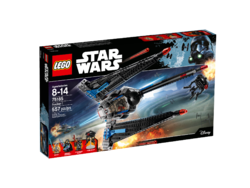 Play out your own LEGO® Star Wars: The Freemaker Adventures encounters with this impressive tri-wing Tracker I model, featuring spring-loaded shooters on each wing and side hatches that reveal a weapon store, access ladder and a prison cell with space for a minifigure. 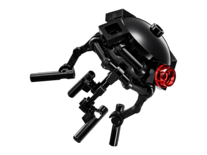 Open the 3 windows of the minifigure cockpit and attach the M-OC Hunter Droid using the special shoulder armor element, before swiveling it into position for flight mode. 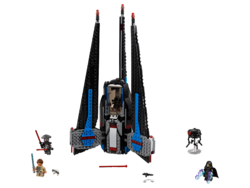 This great set includes 3 minifigures plus a buildable probe droid figure. 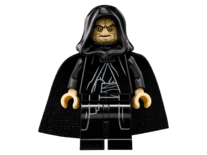 Includes 3 minifigures: Rowan, Emperor Palpatine and an M-OC Hunter Droid, plus a buildable Probe Droid figure. Features tri-wing design with a spring-loaded shooter on each wing, opening side hatches revealing a weapon store, access ladder and prison cell with space for a minifigure, and an opening 3-window cockpit with swiveling pilot function. Weapons include Palpatine’s Force Lightning elements, a blaster, 2 red Lightsabers and a blue Lightsaber. Also includes a handcuff element. 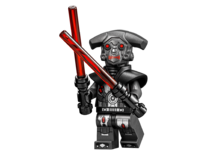 Hold Rowan or other minifigure in the prison cell. Open out the 3 cockpit windows and attach the Hunter Droid. Shoulder armor element required to attach to the cockpit. Measures over 6” (17cm) high, 13” (34cm) long and 7” (20cm) wide. Facts about "75185 Tracker I"